These are common phrases I use in my day to day work as a Recruiter after speaking with a candidate who has great potential but sometimes, not such a good CV. The advantage they would have is that the Hiring Manager would listen to me since I have done the initial screening. However, were we to base our decision on the CV alone, the candidate wouldn’t stand a chance. The reality is that not all companies use Recruitment Agencies and sometimes candidates must follow the application procedure set down by the Hiring Companies, meaning their CV will either be the tool to give them an interviewing opportunity or not. So what are these mistakes that could be your downfall in a job search? Print out and check again. Have a friend check for you because, let us be honest, it can be hard identifying your own mistakes. Use other tools like Grammarly. You can create your own resume proof reading checklist, or you can use this one that I found pretty interesting. In simpler terms, there is no excuse for such an error. Once you have made sure you have no spelling or grammatical errors, then you need to check your formatting. Have a form of consistency. From the font used, sizes, headings etc. Let there be a sense of a flow. When not sure, look for templates online. There are a thousand of them that you can customize. Let the Recruiter want to read through your CV at just a glance of the CV. This goes to show you there are fonts that are not as attractive; rather they would dull your CV. Take time to research more and also remember that a Photographer’s CV would be very different from an Accountant’s CV. Customize the format to your line of career and craft. It is encouraged that you write your CV in a chronological order including the years and months of the start and end of each employment. Whether you took a sabbatical leave, time out to raise family, to venture into business, to do certain projects, take care of sick family member/relative etc, find ways to explain the same in your CV so that there are no gaps. When you have gaps, it tends to leave an impression that you could be hiding something. It is advised that you do try as much as possible to keep your CV sweet and short yet giving a clear picture of who you really are. Personal Information (Age, Marital Status, No. of Children, Gender, Religion etc). Career Objective/Vision (Can only be useful if changing the industries completely hence a short summary why). Your Interests/hobbies (Unless it is in line with the position you are applying for). Instead, do find action words to use to display your competencies. Those who exaggerate or tell lies in their CV do somehow get caught. My main question though is; why let a lie be the end of your career in the long term as your integrity comes into question? Basically; what else have you/will you lie about?? There are other things to avoid such as listing too many jobs, too many bullet points, CV lacking sense of direction and progression of skills, qualifications not clear etc but I think they may not be as suicidal as those mentioned above. A parting shot; when you get to the interview panel stage, make sure you can explain your CV in detail. Lack of doing so may just mean the end of the interview in that very moment. Master your CV, know it, every little detail and defend what you have written. For those in the job search, check our page for latest jobs and hopefully, with your great CV you get yourself an interview? 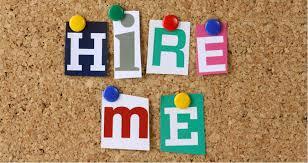 Do come back soon for the “Must to Do” for your CV to stand out.